The polymer clay dolls are made very painstakingly, with the Zajkov making clothes and even attaching every single strand of hair by hand. Art is twice removed from reality, they say. 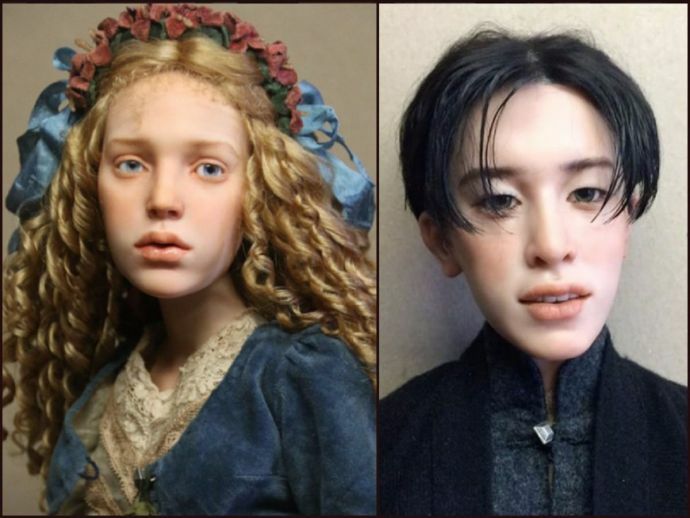 Michael Zajkov, a Russian artist, is out to challenge this notion with his hyper-realistic dolls. His creations, complete with baby hair, freckles and blotchy skin, are good enough to make even the sharpest of eyes to do a double take. Zajkov invests tremendous effort into his polymer clay dolls. Scarlet Johansson, is that you? Anybody else getting any Westworld vibes?